CSF, a True Manufacturer, has done it again. 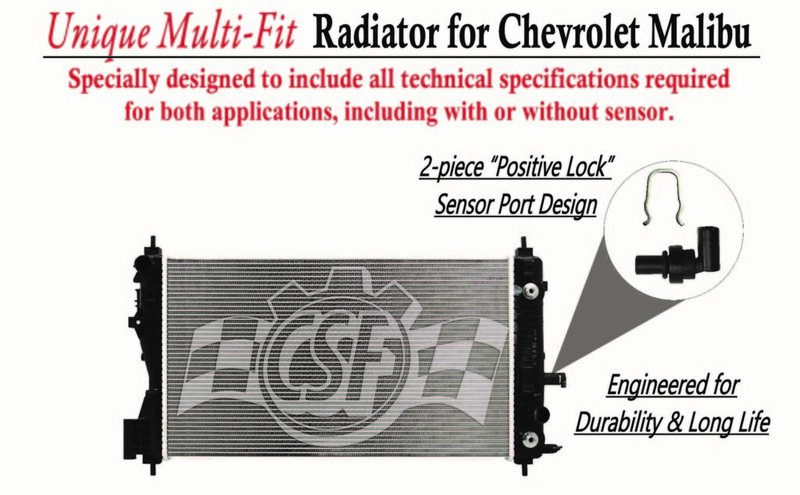 Just released – CSF 3867 is a very unique multi-fit Radiator for Chevrolet Malibu! This new model is specially designed and fits other Chevrolet applications, as well as Buick.